Initial upfront cost – The amount you pay to own the credit card reader. This is a one time payment charged when you acquire the reader. Some providers offer leasing or financing options with bulk orders, which would spread turn the upfront cost into a monthly charge. Communication fee – the cost for the reader to transmit data. The communication fee is a flat fee that is charged once a month. This fee works like data costs for your cell phone plan. The reader has to send information to a cell phone tower, and this charge covers the cost of transmission. Credit card processing fee – The cost to securely encrypt and process credit card data. The charge is based on a small percentage of total transaction amount, and is charged with every swipe, but it keeps your customers financial information safe. 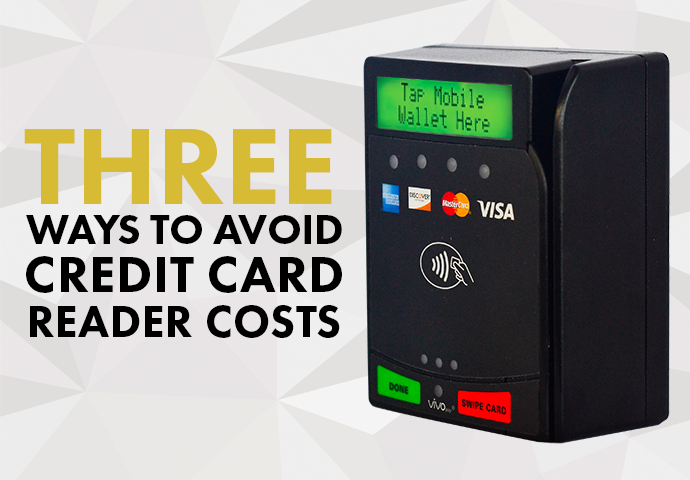 It might seem like there are a lot of fees associated with buying a credit card reader, but the amount of value they provide to operators far outweighs the costs. 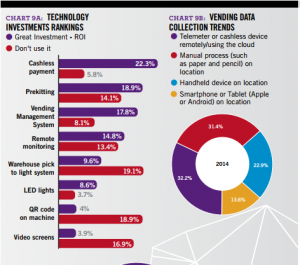 Operators rate readers as their best investment when it comes to technology. Plus, some card readers come with tools generate more money for an operator, which more than makes up for the costs associated with readers, and speed up your overall return on investment. Two tier pricing is a tool you can use on credit card readers that will hugely offset those monthly fees. Two tier pricing lets you charge up to an additional $.10 for every item that is bought at your machine with cashless. This amount more than makes up for the monthly processing fee charged by credit card companies. For example, if you are charged a 6% processing fee on a $1.00 transaction, you’d be charged $.06. With the $.10 gained from two tier pricing, however, you make up for that monthly fee. Plus, you have an extra $.04 cents to put toward your monthly communication fee. You may be concerned that your customers will be reluctant to pay the additional $.10 tick for cashless payments, but most customers don’t notice it, or it is too small an amount for them to notice. Your customers are too happy that they can pay with cashless at your machine, than to get upset about a $.10 upcharge, and you’ll be offsetting your monthly costs as a result. Another tool you can use to make up for monthly costs of a credit card reader is called multivend. Multivend lets customers pay for multiple items with one transaction. All they have to do is swipe once, and then they can select as many products as they want. With multivend, you can encourage your customers to buy more than one item from your machine, which leads to increased sales for you. Coupled with two tier pricing, multivend can be a very profitable feature. See, two tier pricing adds an additional $.10 per item vended, not per transaction. So lets go back to our example from before: your customer now buys two products at $1.00 each for a total of $2.00, and the credit card company charges a 6% processing fee again. Now, you are charged a fee of $.12. With two tier pricing enabled, you collect $.10 on each item for a total of $.20. Now, you are $.08 up The more you take advantage of multi-vend and two tier pricing, you not only cover your monthly fees, but you are actually coming out on top. Just how effective is a credit card readers with multivend? 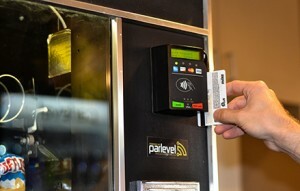 In a study of Parlevel Pay cashless devices, the readers that have multivend enabled have sales that are 62% higher than those without it. Multivend coupled with two tier pricing translates to a significant sales increase, so make sure your card readers have that option available to make up for those monthly fees. When it comes to results, the proof of credit card reader value is in the numbers. A study of machines equipped with Parlevel Pay in San Antonio Texas showed that credit card readers increased average machine sales by 42%. This percentage equals an increase from $90 in sales per service to $128 per service on average – an extra $38 per month. Plus, increased cashless sales cuts down on costs associated with counting cash, transporting money bags, and potential employee theft. With these gains, your cashless readers readers will pay for themselves in no time.